3 Pack of 18" Bungees Only $2.99 Plus FREE Shipping! You are here: Home / Great Deals / 3 Pack of 18″ Bungees Only $2.99 Plus FREE Shipping! 3 Pack of 18″ Bungees Only $2.99 Plus FREE Shipping! 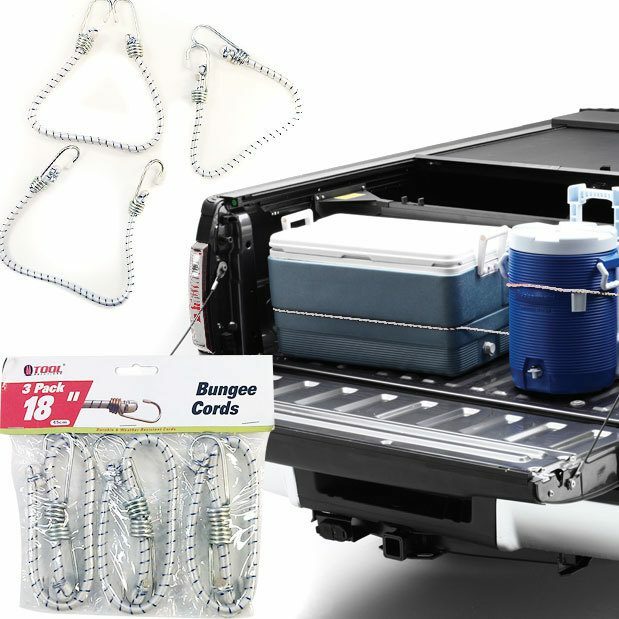 Bungees are just one of those things you need to keep around in the trunk of your car, in your workshop, your garden shed and many other places. They are so handy! This 3 Pack of 18″ Bungees is Only $2.99 Plus FREE Shipping. Get a few sets and spread them around!